What is your ethnic back ground? Are you Gay or Lesbian? What is your religious Back ground? Or you will land at the Human Right Tribunal. How many people will be living here and what are their names? Will you be operating a home based business? Tell me about yourself and watch their voluntary disclosures. Remind them you need references, a credit bureau and you will be making enquiries. No 3, 4 or 6 months in advance because they are new to Canada. Any extra fees you charge they merely save the recipts and deduct them from month 11 ( since you have the last month on hand) You must pay interest on their deposit and document it. Because THEY [your prospective tenants] even if they agree, cannot be held to comply with what is illegal with the Landlord Tribunal; A Tenant application at the Tribunal will result in all of those deposits / charges being ordered refunded immediately. 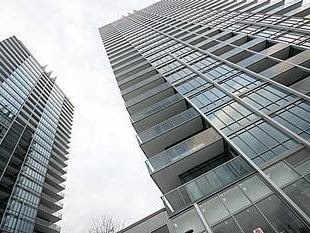 Real Estate Investment - Condo Investment is so popular because it currently guarantees a 97.5% success rate. (Sheriff's evictions result in less than 2.5% of all rentals) There is no rent control on units constructed post 1991. Even at 25% down per unit; someone is paying your mortgage for you. Will there be fewer people living in Toronto in 20 years? Is 1% per year on your savings the return you need to retire? So.... What are we waiting for?